Just to confirm. Should this be used under ultimate paste or on top of? In my opinion as a stand alone given the 1 year longevity claim. Thanks. Nick seemed to think the "ultimate finish" would a combo of this with Ultimate Wax, but I see your point for sure. Interested to get some additional information from Nick as well. Would not be a problem to top it or top another product with it based on Nick's comments. I just prefer to enjoy this as the base layer and reapply when needed instead of topping it off. Same goes for topping it over another product which would limit it's longevity. Waste of product. Just my personal feeling on it. Hopefully this link works. Mr. Stoops demoing the new fast finish. You know, it's really more than fine to call me "Mike" - no need to be so formal, especially after the Cadillac encounter at the LA Auto Show last year! This has me thinking of Sonax Polymer Net Shield and if it performs anything like it, it will be awesome. Definitely going to be trying this one. 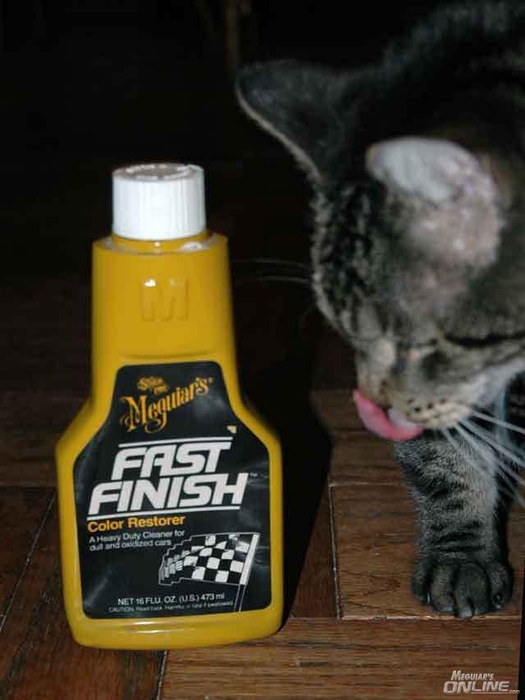 Great as that product is, Ultimate Fast Finish is far easier to apply and leaves a much slicker finish when you're done. Durability should be superior with UFF as well. Well that's just great, I was already excited to try it. Now i really cant wait. Will UFF be able to protect glass and chrome, such as on bumpers and wheels? This was designed & tested for use on painted surfaces, if you were to get over-spray on a porous trim surface, the product wipes right off. We can't recommend using it on glass & chrome as it was not designed or tested for those surfaces, but, we would imagine users will experiment. This would be perfect for clear-coated wheels. Can't wait to give this a go!